According to Sturgeon’s Law, 90% of anything is crap. The upside of that is 10% is gold. And in the Star Wars Expanded Universe, that 10% gold is absolutely awesome. Some of the following are just straight-up cool. Some are interesting concepts that were well explored and brilliantly put together (pick up a Matthew Stover novel if you want more of that). And I can absolutely guarantee that all of them will be better than anything you saw in the prequels. So, in no particular order, here are the 9 coolest things in the Expanded Universe. And please be warned of varying degrees of spoilers! The post Star Wars: 10 Coolest Moments in The Expanded Universe appeared first on WhatCulture!. I saw Star Wars for the first time in 1993. In 1992, my sister had dressed me up as Princess Leia for a Halloween-in-July party, but the one time that I had really been given the opportunity to see those movies before 1993, I chose instead to read a biography of Robert E. Lee instead. But in ’93, a movie theater opened its doors with a marathon of the movies and my mother insisted that we all go. Almost 20 years later, I still spend more geek brain cells on Star Wars than any other franchise: I analyze the choreography of lightsaber duels; I make up drinking games to use on May the Fourth Be With You; I have a Star Wars lunchbox and wear my Darth Vader Was Framed shirt on a regular basis, and I fanfic gratuitously. While I went literary on Star Wars, there are many people who took one hundred looks at the Galaxy Far Far Away and decided to make their own movies, sometimes to “fix” and sometimes to flatter. George Lucas even sponsored an official contest for these projects with the grand prize of the George Lucas Selects award going to the outright winner. With all due respect to George, we’ve known since the writing of The Empire Strikes Back that some of the best work on Star Wars is by those who took what George created and just ran with it, and here are ten fanfilms that prove my point. 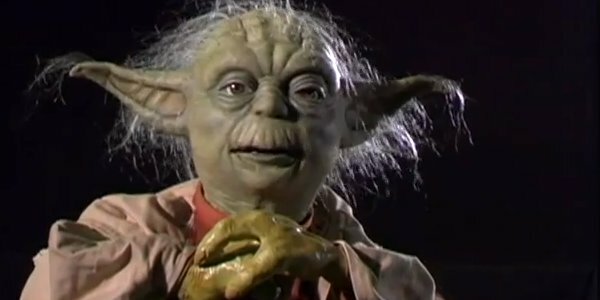 The post Star Wars: 10 Fanfilms That Did It Way Better Than Lucas appeared first on WhatCulture!.